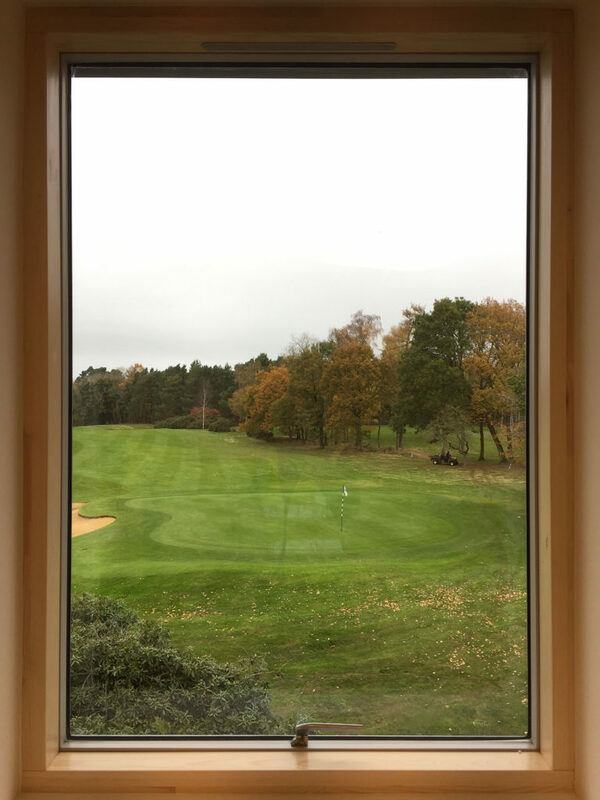 Frilford Heath Golf Club - MEB Design Ltd.
Frilford Heath Golf Club is one of the best golf venues in the South of England and offers three championship golf courses. 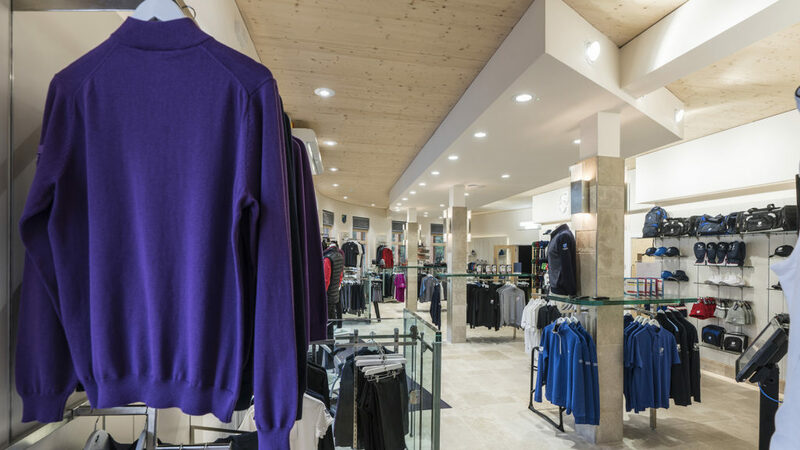 MEB Design was appointed by the club to create a new Club Shop & Performance Centre. 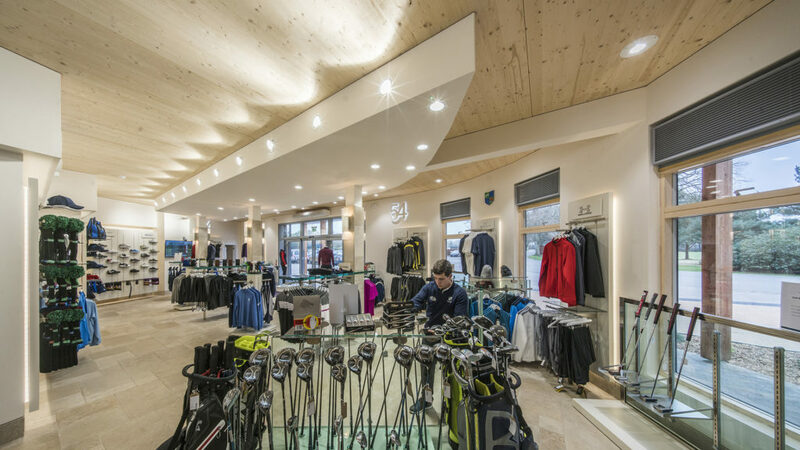 The brief was to create a new golf retail experience including a performance centre. 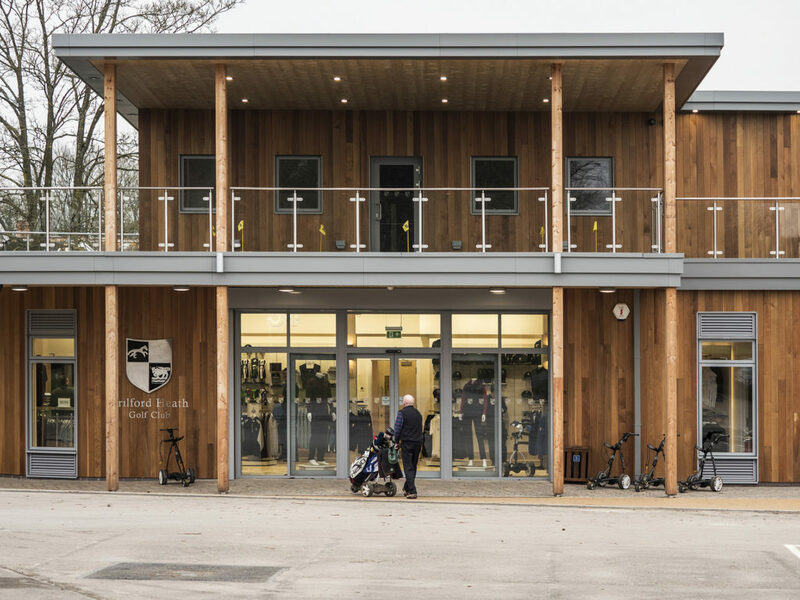 Defining the entrance to the club and improving ‘way finding’ were key drivers in the design. 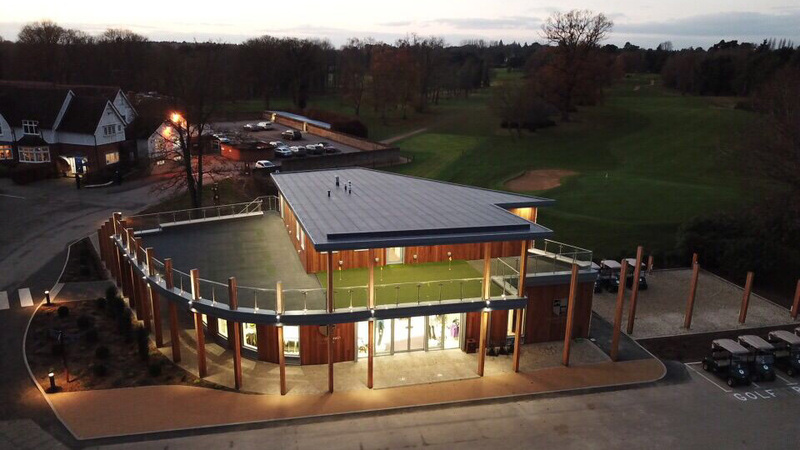 A curved walkway leads visitors from the car park to the clubhouse while maximising the ‘shop window’ to the new shop. 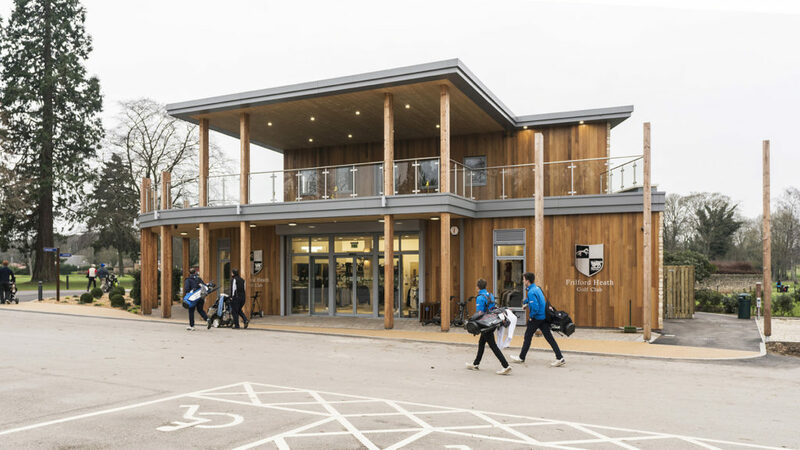 MEB Design won an invited architectural competition with an innovative concept design based on the swing of a golf club and the shape of a golf club head. 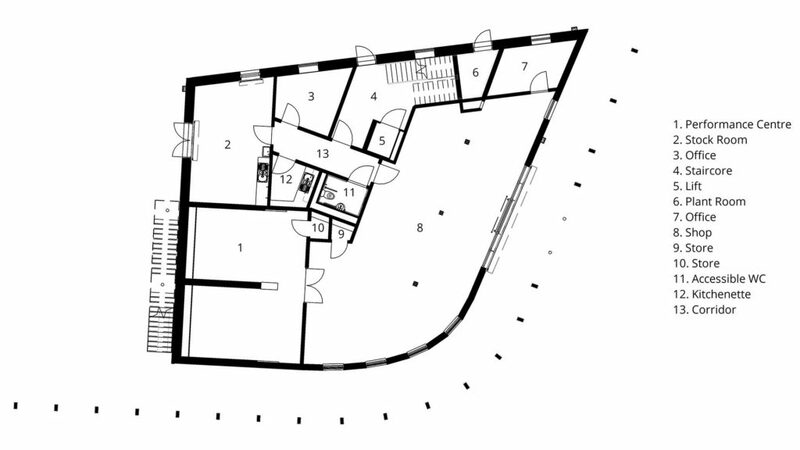 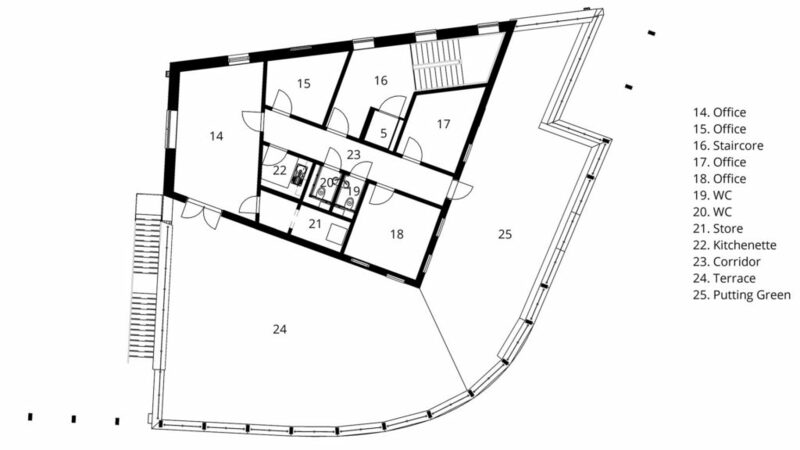 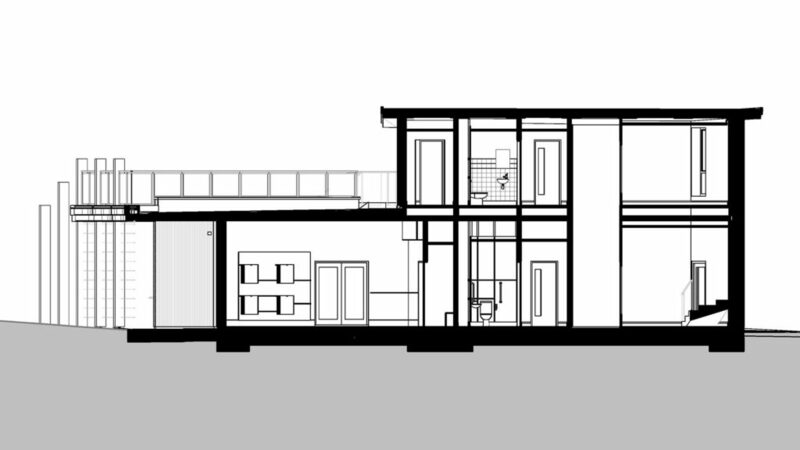 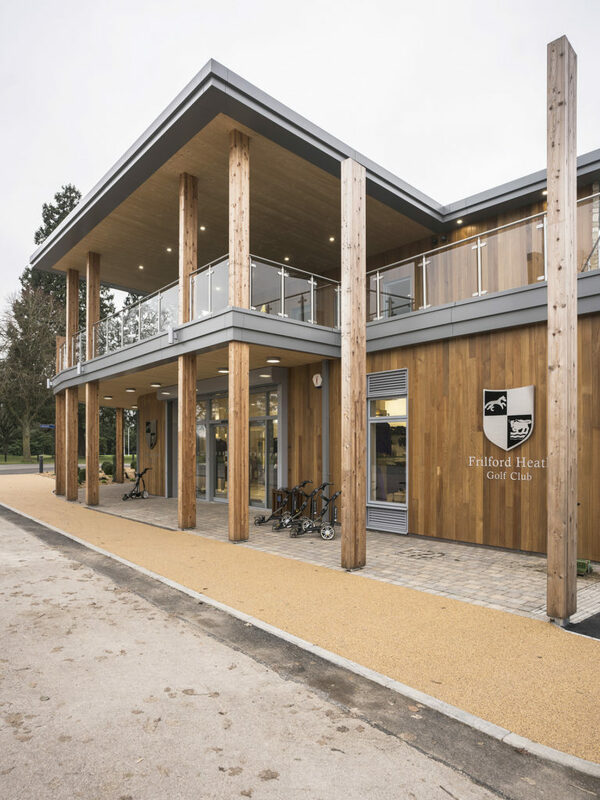 Sustainable options were considered from an early stage and the choice of materials (cedar and Cotswold stone) was based on the local site context. 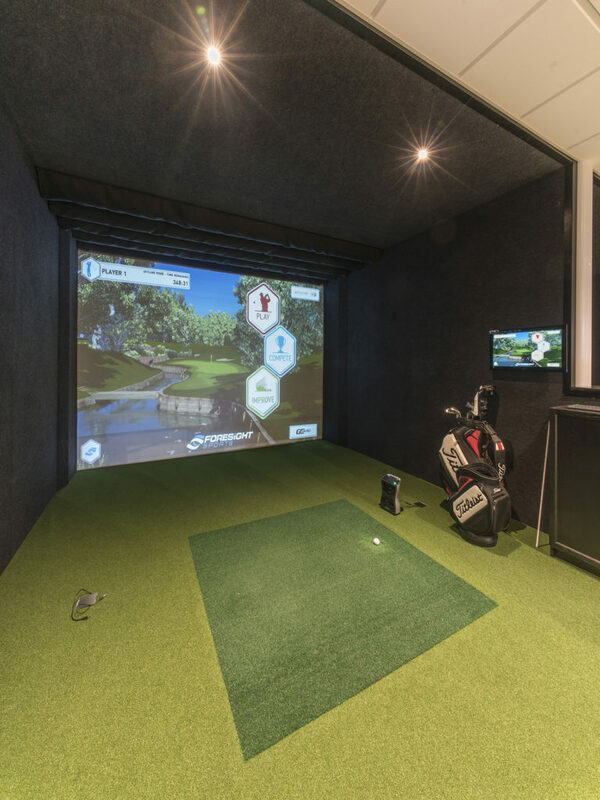 The performance centre allows visitors to play on some of the world’s leading courses with the use of an innovative golf simulator. 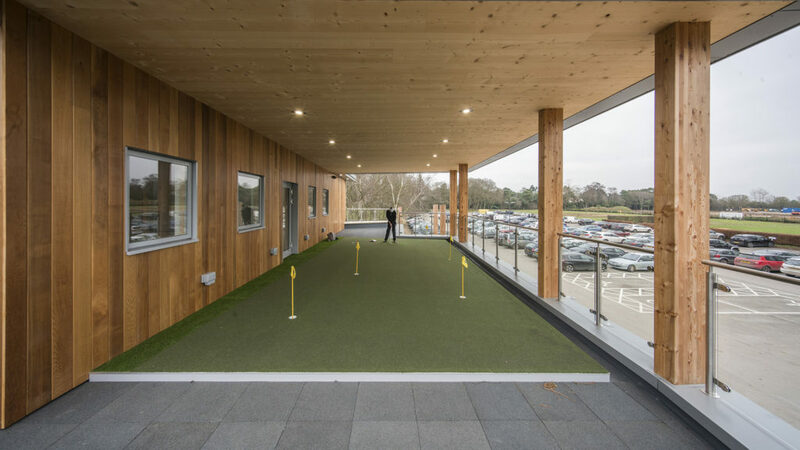 Offices make up the accommodation on the first floor together with a terrace and five hole putting green providing views over the 18th green. 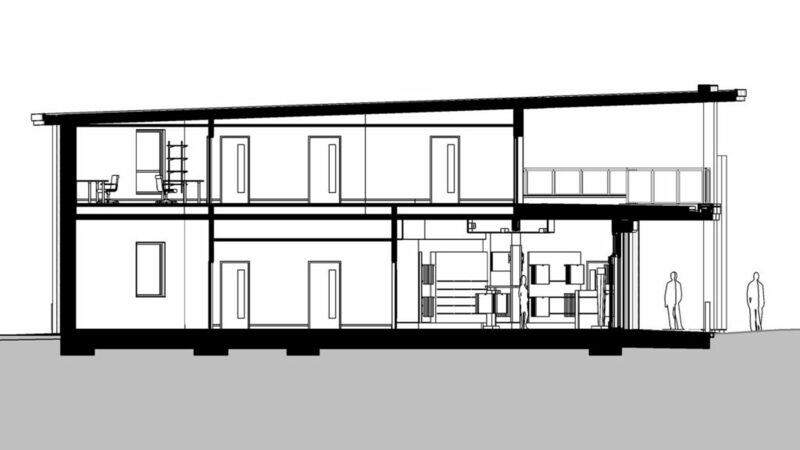 BIM level 2 coordination was used by the design team to develop the proposals. 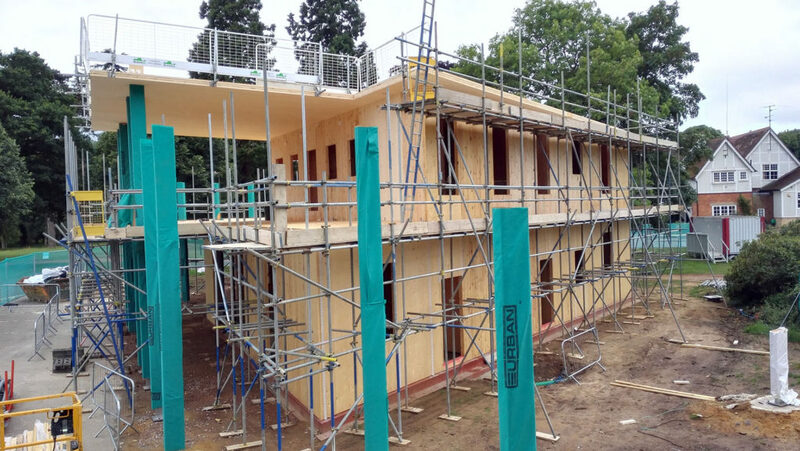 This allowed an offsite manufacture solution for the superstructure to be selected for the unique design. 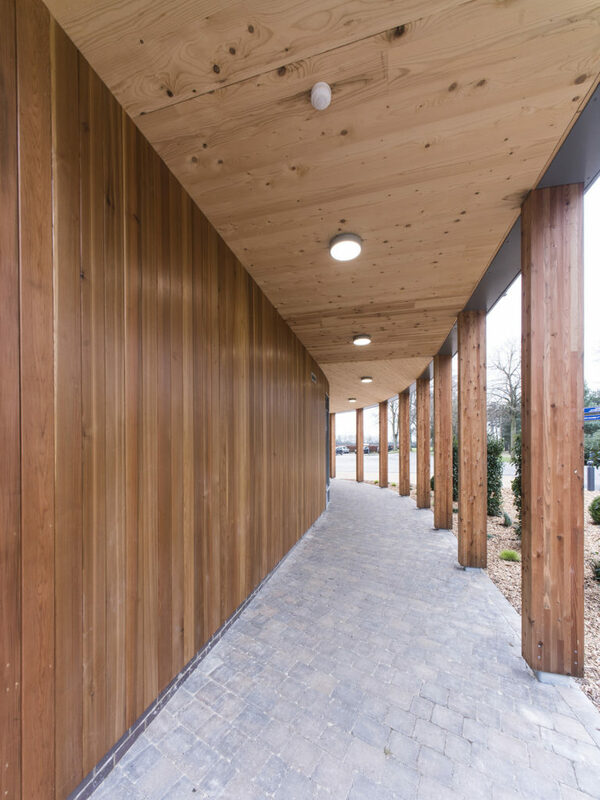 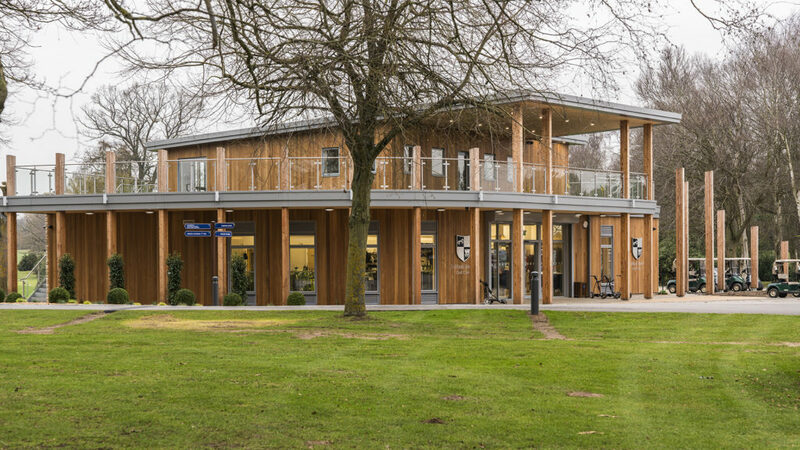 The cross laminated timber (CLT) superstructure was assembled in two and a half weeks and provided the finished surface for the shop ceiling and terrace canopy. 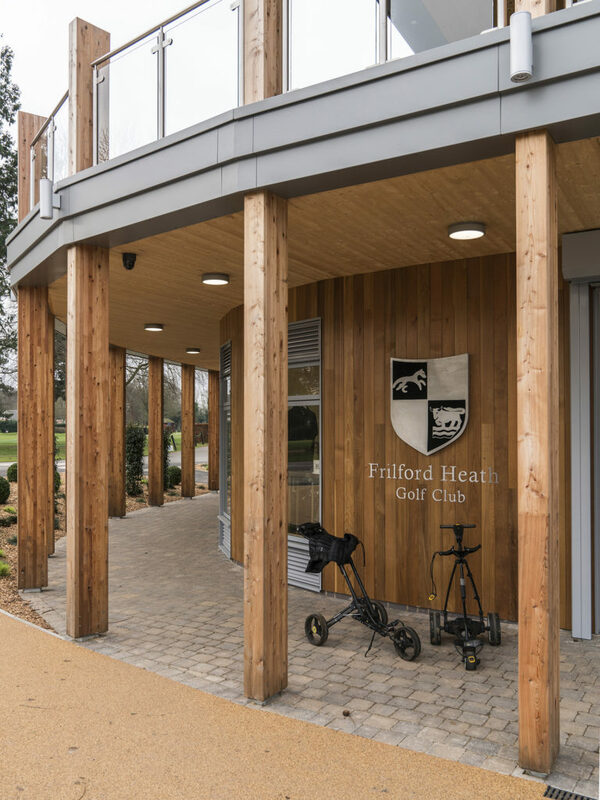 The project enjoyed a positive relationship between the main contractor, M&E, structural, and client team, which has resulted in a high quality building that will serve the club well into the future.